According to a media report, Kia's third model for India is likely to be a cross-hatchback. It could be based on the next generation Kia Rio and is likely to be launched in 2021. 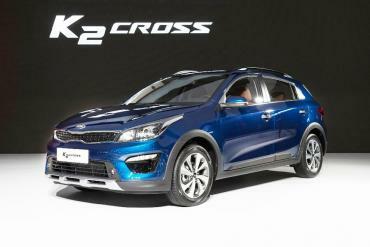 Kia currently offers a Rio-based cross-hatch called the K2 Cross in markets like China and Russia. The India-spec car is expected to be shorter than 4 meters, placing it in the lower tax bracket. Reports suggest that it might get a 1.0-litre turbocharged petrol and a 1.5-litre diesel engine option. The Kia cross-hatch is expected to be positioned in the same segment as the Hyundai i20 Active. Kia is also gearing up to launch the SP Concept-based SUV later this year. The carmaker also plans to launch a compact SUV, which could debut at the 2020 Auto Expo.